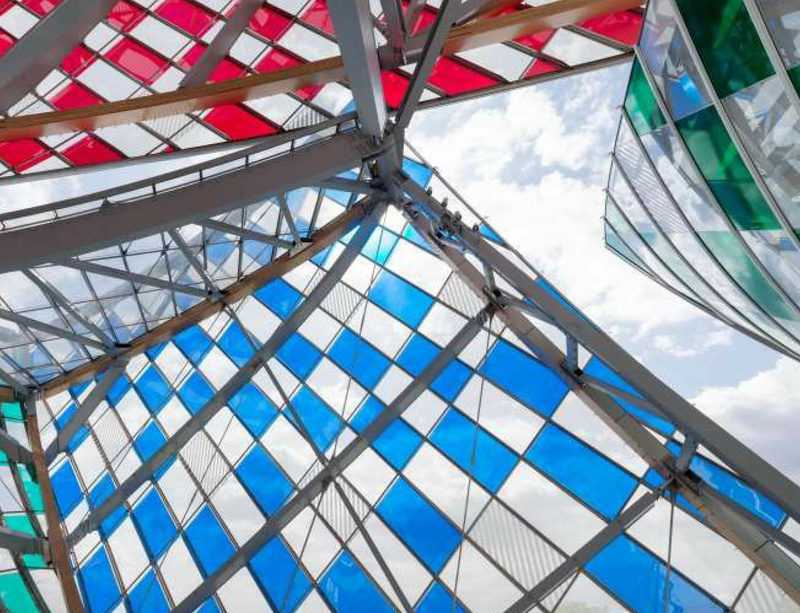 A site-specific work by Daniel Buren, titled Observatory of Light, has been unveiled at the Fondation Louis Vuitton in Paris. The work comprises a staggering array of 13 coloured filters installed in equal distances across the foundation's 3,600 glass ‘sails’, an emblematic feature of the Frank Gehry-designed building. Through a play of sunlight, reflections, transparencies and contrasts, various coloured forms appear and disappear at different intervals throughout the day. True to Buren’s signature style, his visual tool of alternating white and coloured vertical stripes also appear perpendicular to the ground. Please click here for more information on the installation. Image: Daniel Buren, L’Observatoire de la lumière, travail in situ, Fondation Louis Vuitton, Paris, 2016. Detail. © DB-ADAGP Paris / Fondation Louis Vuitton. Photo: Iwan Baan.